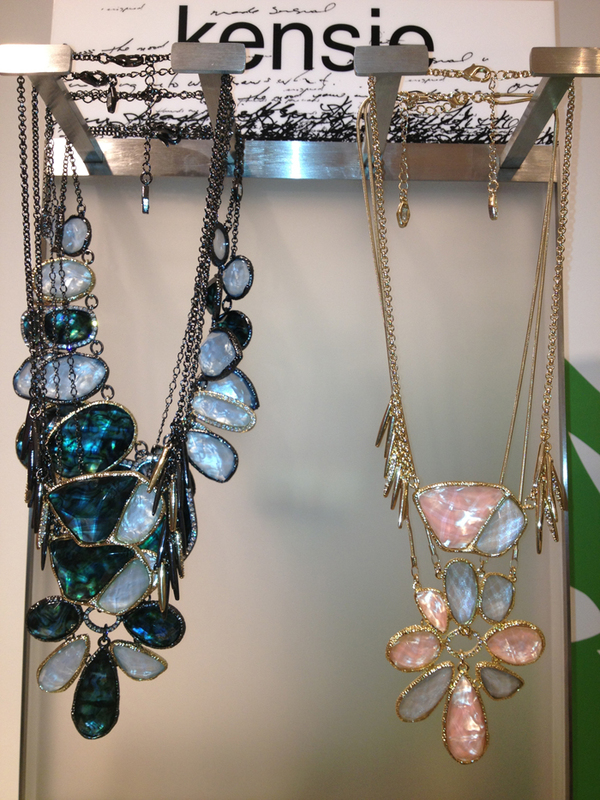 I attended the Kensie Spring 2013 Jewelry collection preview which was held at their beautiful showroom in New York. I wore a bright blue blazer over a fuzzy grey dress. I've been experimenting with wearing different fabric textures lately and this outfit just really came together. Ironically, it also matched the vibrant decor in the room! The room was buzzing with fashionable guests who sipped on complimentary Skinny Girl margaritas. 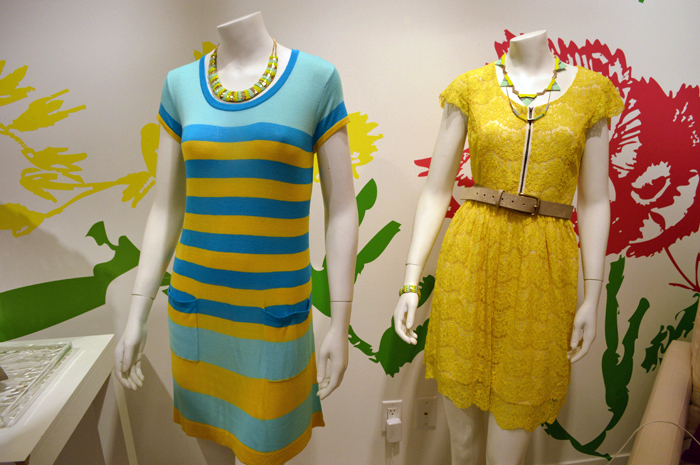 Kensie's new Spring 2013 collection featured an assortment of chunky statement pieces and colorful geometric shaped jewelry. The whole collection was very in tune to the fun vibe of the typical Kensie girl who wears elegant but whimsical pieces. I had a chance to meet Erin Cornell, one of the lead jewelry designers of Kensie. We chatted about the new collection and her inspiration for it. 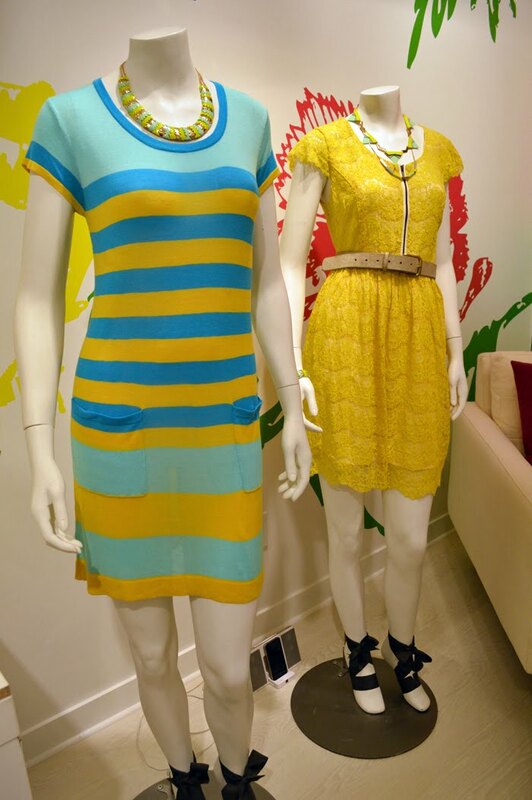 Erin: I’m really excited about the new collection. It’s different than what you’ve seen in the months before. It’s gotten a lot more colorful, fun and feminine. There’s a lot of really exciting colors and funky silhouettes. One thing I’m really excited about are the great layering items. There are a lot of fun pieces that you can layer on or just wear by themselves. They work with existing jewelry or just with a t-shirt. Where did you find your inspiration for this collection? Erin: It was a lot of different things from just shopping around and seeing what the cool girls are wearing and also what I would like to wear. I chose colors that I’m excited about but also the colors that are trendy. Also, different techniques that are trendy now in jewelery. It was a collaboration of things that I was inspired by and pieces that I’m excited about personally wearing.